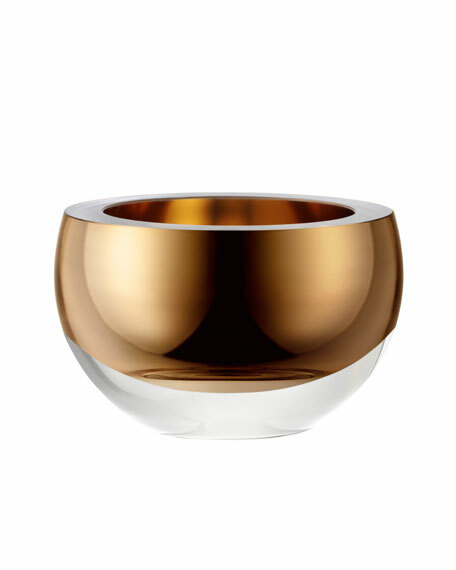 LSA Host Gold Bowl, 6"
Mouth-blown from glass of exceptional quality and clarity, this bowl has impressive weight in it's sold walls and heavy base. Complex traditional techniques transform high quality raw materials into distinctive products for entertaining, dining and decorating. Mouth-blown glass, cased metallic lustre, timeless design.